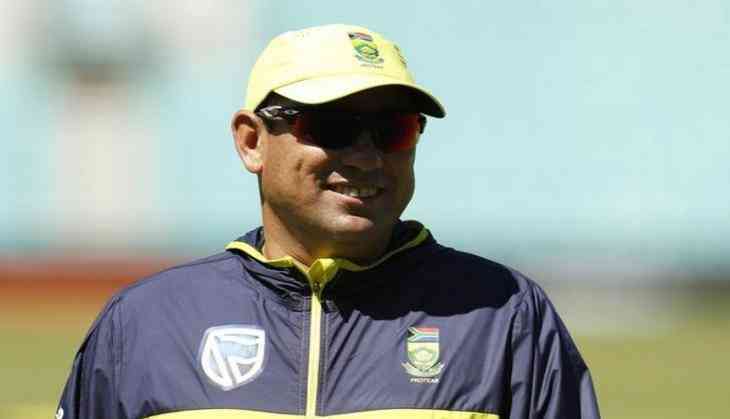 South Africa coach Russell Domingo, who is in England for the ongoing T20 and Test series, is all set to fly back home after his mother was critically injured in a car accident. Confirming the news, Cricket South Africa (CSA) said that Domingo's mother was travelling alone in Port Elizabeth when the accident took place,Sport24 reported. The 42-year-old has been with the AB de Villiers-led side throughout the Champions Trophy, where the Proteas slumped to an eight-wicket defeat to runner-ups India in their final group clash to knock out of the tournament. South Africa are now preparing for second T20I against England in Taunton today. They two sides will play the third and final T20 in Cardiff before heading to the four-match Test series against England, beginning at Lord's on July 6. However, Domingo's future beyond the England tour is uncertain, after CSA informed earlier this year that the former would have to re-apply to stay on the post. READ NEXT >> Wonder Woman: feminist icon or symbol of oppression?